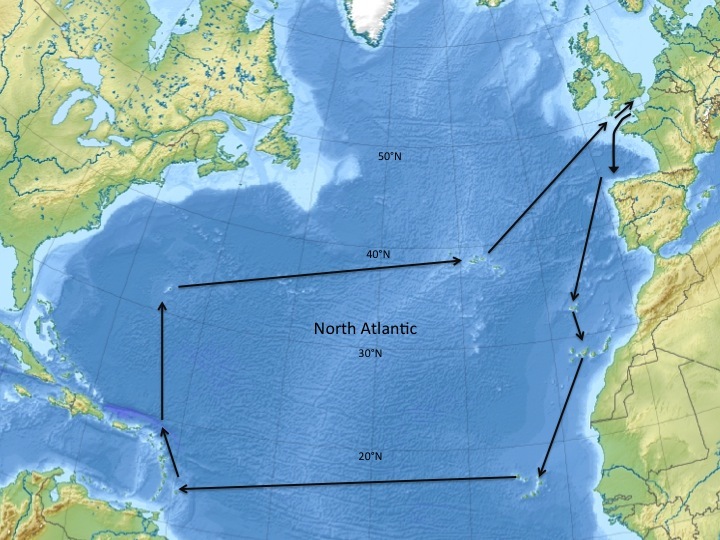 Use the interactive map below to read about and see pictures of the voyage itself. Clicking on a leg which appears in blue will take you to the page for that leg of the voyage. Those legs which appear in black on the chart are yet to be published online - but please check back here regularly as a lot more material will be coming soon!